How to get the most out of good, bad, and neutral mentions? Every mention you get on social media is public. This makes them more important than almost anything you get from your customers by email. This is why it is so crucial to monitor online mentions with a tool like Awario. However, today we’ll talk about something else. Every online mention of your brand is an opportunity. At the same time, it is also a chance to ruin your brand’s reputation. So let’s go through the potential actions you can take when you receive every kind of the online mention. It’s always a pleasure to hear someone praising your brand or your product. But how should you react to it? Should you really let people know you’re stalking them? In most cases, yes. Internet users realise their posts (especially their tweets) are public, and the least you can do is thank them for spreading the love for your brand. You’re not only letting your customers know that you care about what they think, which is always flattering, you are also letting their whole social network know. While expressing gratitude is good, you might want to go further than that once in a while. A larger incentive is more likely to increase future mentions of your brand, facilitate brand exposure, and build up your reputation. 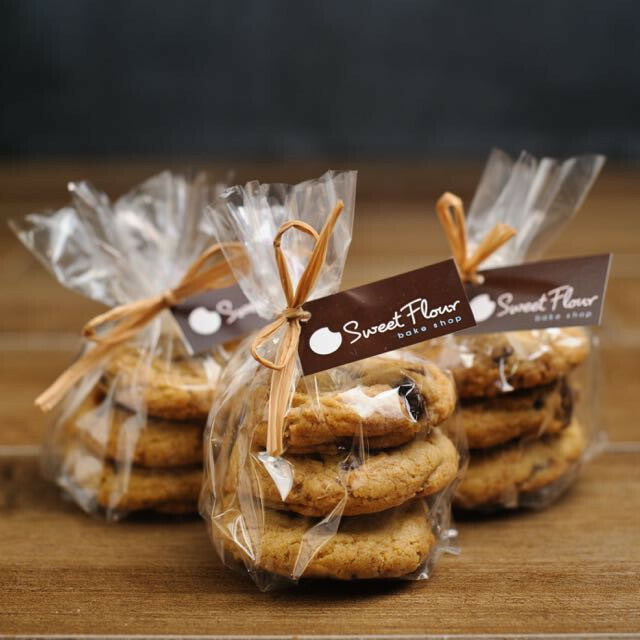 Any brand related rewards will do: sending the author of a mention a gift, a discount, a bag of muffins. Rich and famous brands tend to interact with customers and then reward them generously if the interaction goes viral. For example, Samsung gives out mobile phones whenever they feel like proving to people that they are at least nicer than Apple. Once, a loyal customer Shane from Canada tweeted to the company that he’d like to have a new Samsung phone, because he already has an old Samsung phone, a Samsung TV, and a Samsung laptop. The company predictably said “no”. 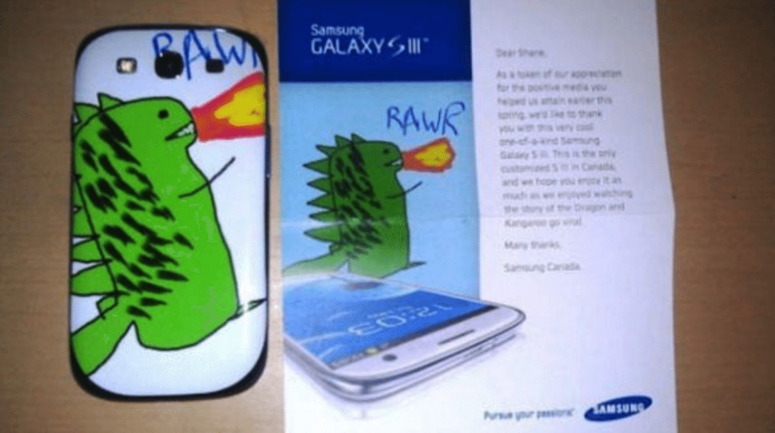 But the customer was a creative guy, so he drew a picture of a dragon for Samsung. Samsung drew a picture of a unicycle-riding kangaroo in response. That started off a beautiful friendship between Samsung and the guy named Shane, and the interaction went viral on Reddit. Reddit is a discussion website that brings crazy traffic if anything goes viral on it, so Samsung gave up and sent Shane a free phone. Moreover, they made it customized with his dragon artwork. Surely, we understand that the budget of Samsung allows it, while the budget of most companies does not. But the set of keyword take-aways here are: attention, interaction, individual approach. Bad mentions on the Internet attract more attention; there are more bad brand mentions than there are good ones because people accept great products as given and bad products as something that should be fixed, which is fair. Yet, bad mentions present a bigger opportunity than the good ones. There is a number of reasons for that. Firstly, lots of people are aware of not so ethical marketing techniques that include praising your own product on social media. The way you’ve wondered as a kid if people called out to the stage in circus weren’t in fact working there, this same way people often wonder if that’s not an employee of the company writing a positive review for everyone to see. On the other hand, a bad review or a complaint is very clear. Secondly, a bad mention is a chance to show the level of customer service that you can’t show to many people at once in any other way. So, what are the ways to use the opportunity that a bad mention presents? Sometimes you just can’t solve the problem the customer is complaining about. Does that mean you should ignore the complaint? Not at all! On the contrary, reply as quickly as you can. Research shows that quick replies, even if they are completely ineffective, are perceived by customers as being even better than slow and effective replies. Saying “sorry” goes a long way, even if the problem you’re talking about was unavoidable and you couldn’t possibly make it better. When faced with a complaint, explain what you will do to fix the problem if it can be fixed, or explain what you’ll do to prevent the problem from happening again. Or just act humble and polite. 3. Interact with your customer. If you see a bad mention of your brand, reply with the same way you would if you were standing face to face with this person, and he/she was your acquaintance. Why is the correct reaction to negative mentions so important? Firstly, people are often so glad for the social media customer service they’ve received that they reciprocate: by writing a postive post explaining the situation, or otherwise. Secondly, your response is seen by the whole social network of the mention’s author: some of them might be your potential customers, and they’ll observe either your success in customer service or your failure to provide one. Thirdly, by constantly replying in real time to bad complaints, you’re building a reputation of a brand that truly cares for their customers. You would assume at least those don’t matter, right? Well, that depends. While they definitely don’t require an urgent and careful response, they could still be an opportunity to a) interact (which is always good) b) create warm leads. As it might be not that clear what a neutral response is, I’ve found some mentions of popular brands to give you a couple of examples. 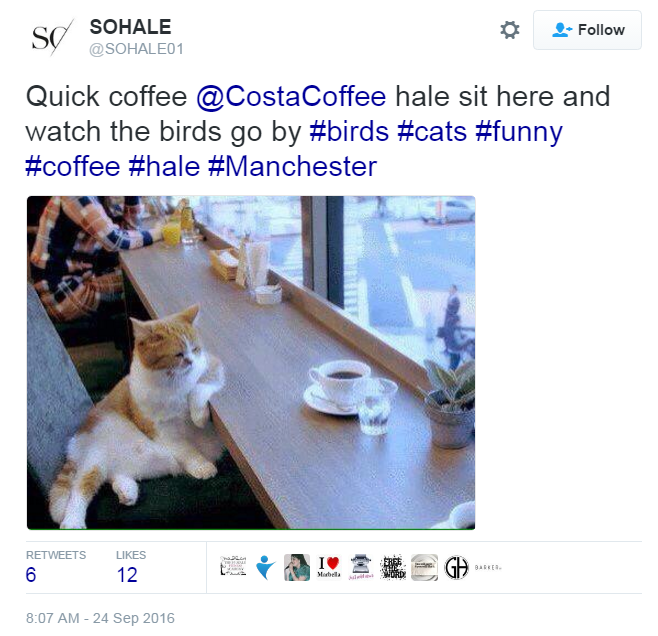 If your brand requires exposure and happens to be featured somewhere on the Internet with a cat, the least you can do is share this post. Here’s an example of a neutral mention that could be safely left unanswered. However, it could be also turned into a conversation about books and literature. And what Waterstones customer doesn't love such conversations? Or simply support a funny petition for the viral marketing’s sake! To find all kinds mentions we’ve talked about, you surely need a social media monitoring tool like Awario. However, you also need a tool that makes it easy to engage with customers. And for some time now, Awario does that too :). 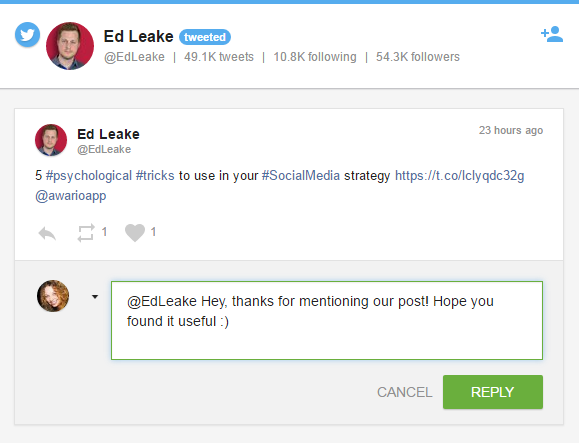 You can now reply to mentions that come from major social networks (Facebook, Twitter, YouTube) without leaving your dashboard. Do you have any examples of mentions that you've handled flawlessly, or not so much? Feel free to share your experience in the comment section!